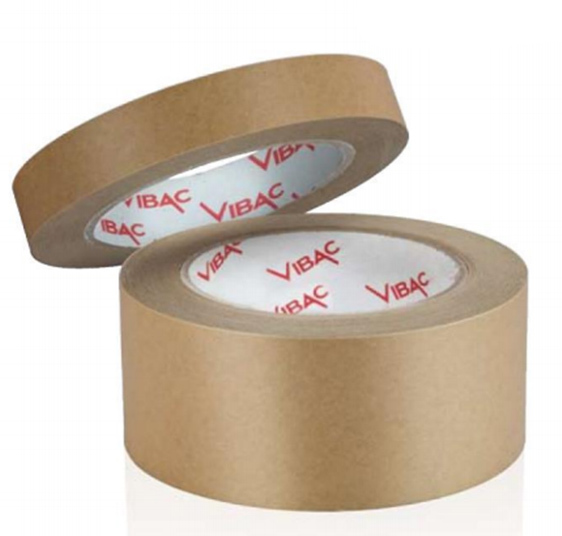 Brown saturated sensitive semi-crepe paper tape, without silicon and designed for general carton sealing. Easy tear properties with a good mechanical strength can also be printed onto with a water based ink. Instant adhesion even to irregular surfaces has a good adhesion after application even in low temperature storage conditions.